Nothing says San Diego like Palm Trees! Every where you look, you'll find a palm tree in our beautiful city. It may have started as a desert but settlers quickly planted greenery, trees, and beautiful flowers everywhere they could fit them in. 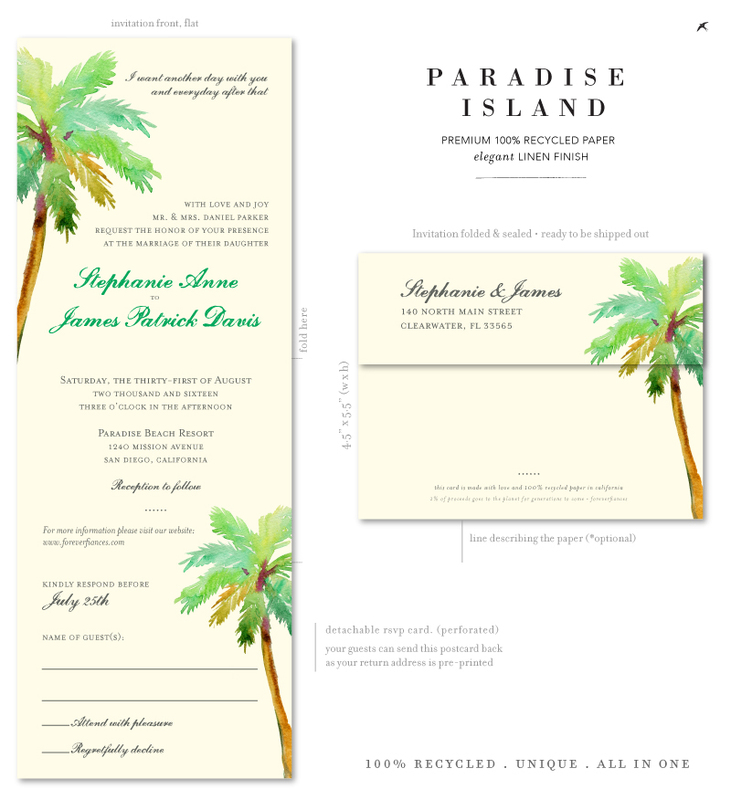 Paradise Point is famous resort in the heart of Mission Bay, which inspired our new design, Paradise Island. Having a destination wedding? Our design, Abroad features a pretty frame and matching palm tree. Here are a few of our lovely designs featuring this San Diego staple. 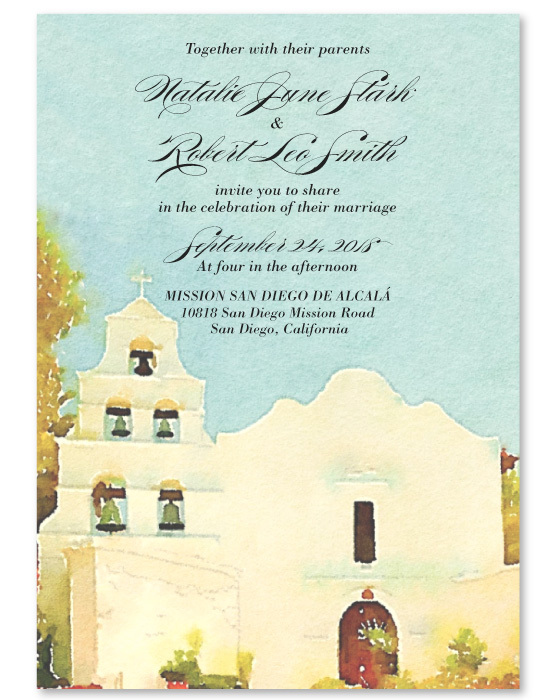 Discover our Mission Alcala wedding invitations , illustrating the famous San Diego church. 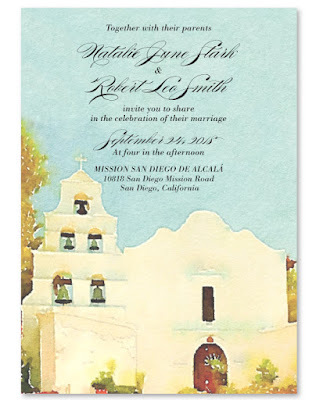 Conveying the feel of this incredible wedding venue, these premium cards are designed and printed in San Diego. Printed on our premium 100% recycled paper, made with carbon neutral energy in our local area in San Diego. Amazing and majestic Balboa Park. The settings is divine, natural and historic. 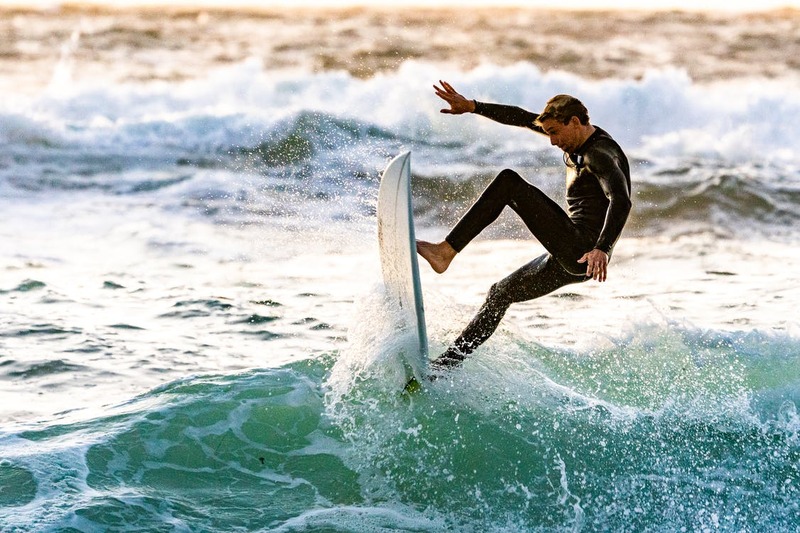 Nestled in the heart of San Diego, some may call the park the lungs of the city. 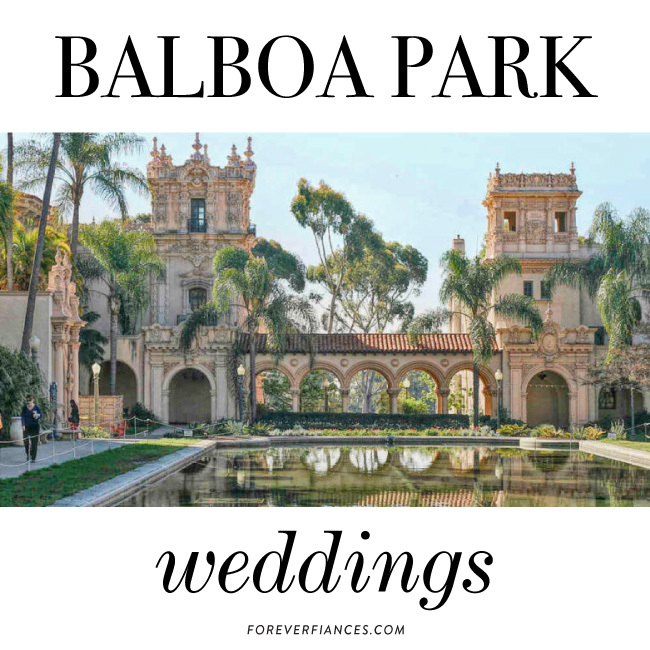 The famous botanical garden, the Spanish architecture of the main walk way, the museums make Balboa Park a must-see! Many of our engaged couples chose the park for its appeal and soulful charm. Century old trees tell the tale. 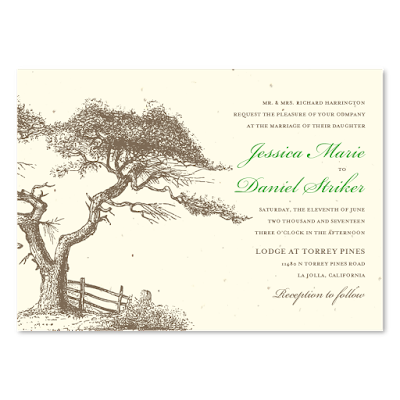 Our famous collection of trees invitations are the obvious choice. This balboa park wedding invitations specifically. 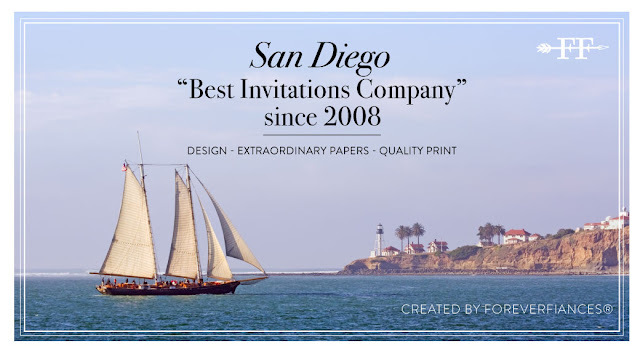 Browse San Diego Wedding invitations among 800+ amazing designs to pick from.